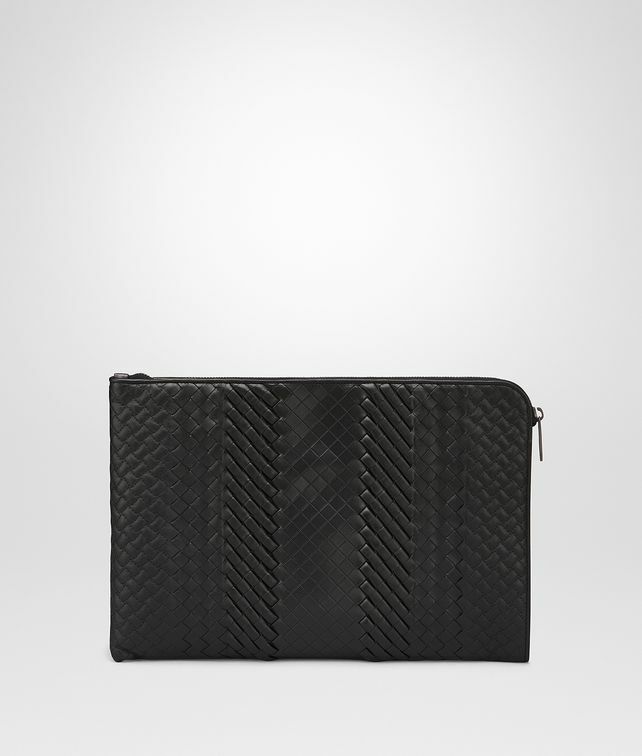 This multifunctional document case showcases the unique imperatore weave, an exclusive technique blending hand-braided, padded and etched leather. Sized to hold an 28 cm tablet, documents or notepad, with a padded snap-button pocket and an additional external zipped pocket. Carry it or slip it inside a briefcase to keep your essentials in order.